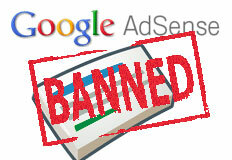 Google is constantly banning AdSense publishers - it is nothing new. What is new is publishers being reinstated into the Google AdSense program. An article named Regulator helps David beat Goliath Google via theAge tells a story on how after months of being banned, Google reinstated his account but only after the regulators got involved. First, he appealed directly with Google but was denied. Then he took his case to the NSW Fair Trading, a regulator in Australia. They did their investigation and shortly after, Google told him that after "thoroughly reviewing" his account, they have decided to reinstated it and refunded him the $131 it had withheld when it had suspended his account last September. These cases are very rare.